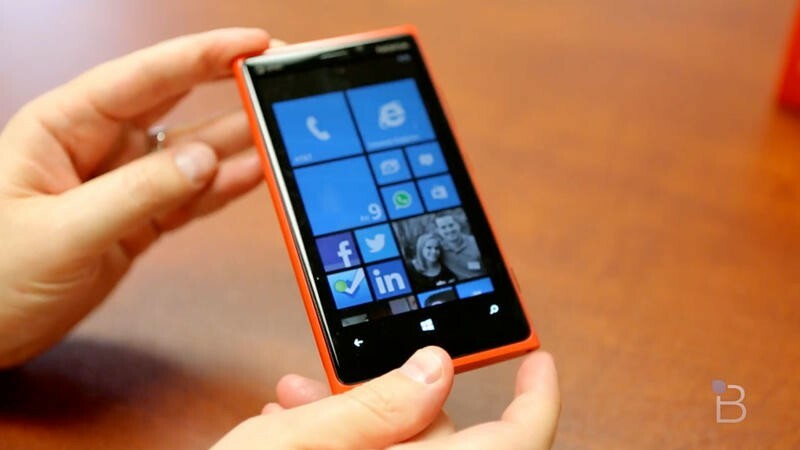 We recently brought you the written review of AT&T's Nokia Lumia 920 and, now that I've had some time with the phone myself, it's time to bring you our video review. Nokia placed big bets on the device by pricing it at just $99 with a new two-year contract (and with a free wireless charging pad while supplies last). It definitely packs some heft at 185 grams and measures a somewhat lengthy 10.7mm. I think the bulk actually makes it feel rock solid, however. I absolutely love the high gloss cherry red polycarbonate body and that Nokia, along with HTC, are bringing back to smartphones. As we said in our written review, I agree that the screen is better than the one on the Windows Phone 8X (video review here) because it offers deeper blacks and better viewing angles. The phone packs a fast 1.5GHz Snapdragon S4 processor, 1GB of RAM, 32GB of storage (twice that of the Windows Phone 8X) and more. Nokia's software bundle, which includes Drive (which works really well), Nokia Music, City View and much more – also an added plus over what you get with the 8X. Unfortunately, the great Windows Phone 8 apps aren't there yet, even though Microsoft has promised that major apps, such as Pandora, are on the way. The 8.7-megapixel camera with a Carl Zeiss lens and PureView technology took great pictures and the colors were really accurate. The low-light images are also really good but I found that the images taken with an iPhone 5 were a bit sharper and less blurry in those conditions. The battery, as Todd found, lasted a full day without a problem thanks to its large battery. The 4G LTE speeds were also excellent in both the Orange County, California area and in New York City. Nokia hit the nail on the head from both a hardware and a software angle, we just await the day when the Windows Phone Store catches up to Android and iOS in terms of apps. I think it's better than the Windows Phone 8X overall because it offers Nokia apps, a free wireless charging pad and more for $100 less.